When it comes to local rocking, musicians tend to get the most acclaim, both from fans and the media. And that makes sense. They're the most visible members of the local scene. But, to mangle a phrase, no band is an island — well, except Islands. And maybe Future Islands. The point is, there is a scene behind the scene. And it's populated by people who are rarely acknowledged for their efforts, but without whom much of what we take for granted as a vibrant and dynamic music community would not exist. So Seven Days recently asked local musicians and other assorted scenesters via email who they think are the unsung heroes in Vermont music. Here's what they told us. Of the hundreds of responses we received, two names were offered up the most: Nectar's soundman Sergei Ushakov and local superfan Tim Lewis. It's worth noting that both men were subjects of 7D feature stories within the last year or so. But it never hurts to sing praises with an encore. "Ace sound engineers often get overlooked, and it's a crime," writes Grace Potter & the Nocturnals drummer Matt Burr of Ushakov. "A dedicated club engineer like Sergei is a key member in hundreds of bands every year, and he must exhibit a diverse sonic palate for all genres ranging from metal to douche groove. Sergei, I salute you, man." Burr wasn't alone in his admiration for the veteran, and sometimes cranky, engineer. "Literally can't keep him away from work," writes Nectar's coworker Ryan Clausen. "If he's not in the booth mixing a band, he's giving lessons on compression to young guitarists, fixing a broken amp or finding the best deal on eBay for anything and everything that could help out in the production world. He may be cold on the exterior, but he's a sweetheart, and I'd be totally lost without him." Says Japhy Ryder's Pat Ormiston, "He's our local Wolverine." Local house music DJ Craig Mitchell opines that Ushakov is the "best at fixing er'thing electronic and music." Lewis, who hosts a local-music radio show on online station WBKM, maintains a music blog called Tim's Triangle Tribune and generally sees more shows than anyone else around — pro music scribes included — drew similarly effusive praise. "Tim does more than just about anybody else to support Burlington bands and raise awareness about what's happening in the scene," writes Black Rabbit front man Marc Scarano. "Your rock show ain't a rock show unless Tim Lewis is there," adds Swale's Eric Olsen. "He's the chronicler of our scene." 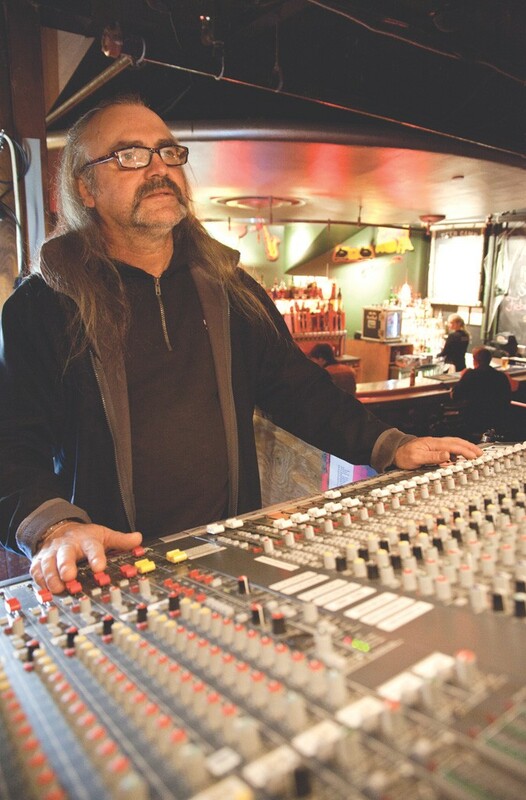 "Knayte Lander, for his contributions to the local music scene as a musician, producer, idea man, dealer and fan," says Lake Superior drummer Pete Rahn. "And he's an all-around good person." "Justin gets a lot of credit as a musician," writes Stickshift Recordings founder Kelly Riel. "But I think he deserves serious recognition as one of the most important people in making the punk scene possible. He helps run a practice space where loads of bands play, he is an extremely prolific promoter, he tries hard to make shows safe and inclusive for everyone, he runs a totally rad record label and, starting in January, he will be the official promoter at 242 Main. In short, Justin makes punk possible!" "I think they've found their musical niche with their Sunday folk series," writes Phil Yates of Phil Yates and the Affiliates. "They always have some pretty cool art being displayed. Most importantly, they were the only venue in town that brought Jad Fair and Danielson to town, one of my favorite concerts of the year." "If there ever was an unsung backbone to the music community, this is the guy," writes Guster's Ryan Miller. "He's tireless, passionate, beyond talented and just about the best soul there is. Such a fan." "I know he receives a lot of acclaim, but I am going with Ray Vega," writes Reuben Jackson, the host of the Vermont Public Radio program "Friday Night Jazz." "Great artist, educator and spirit. Long may he swing." "Gotta hand it to the Waking Windows team," writes Vedora bassist Caroline O'Connor. "Their annual WW fest in the spring is my favorite weekend of the year for music. And they bring some damn good shows to town year-round." "Caleb Elder for organizing this whole Sunday Bluegrass Brunch Scramble at the Skinny Pancake to bring bluegrass music back to Burlington," writes Danny Coane of the Starline Rhythm Boys. He adds, "Pappy Biondo of Cabinet, a newly recognized banjo talent (plus he also plays great guitar and mandolin) in the area since he moved up here from Pennsylvania. Cabinet may be 'alt-progressive,' but Pappy is well versed in real-deal, old-school bluegrass music." "Dan has flown off to the big city," writes Invisible Homes front man Sean Witters. "He deserves props on his way out. Having worked on very sonically detailed projects with Dan and as a fellow weird noise geek, I love his technical wizardry and musical intuition. He's played a vital role on the scene, from his work with Ryan Power to the majestic Dark Side of the Mountain shows. What will we do without Mr. Munzing?" "Jim Lockridge, for everything he does with Big Heavy World and always opening up his home, basement and backyard for me to host punk basement shows and BBQs," writes Get Stoked! Records' Justin Gonyea. He adds, "Also, Tyler Daniel Bean for being a real-life dude. He's done a bunch of really positive things at 242 Main and behind the scenes that's really helped strengthen and grow the DIY all-ages scene in Burlington." "He's the best," writes Waylon Speed drummer Justin Crowther of HG's production/tour manager. "Professional as all hell with a great sense of humor. Bands we meet that travel the country and beyond always ask us if we know him from HG." 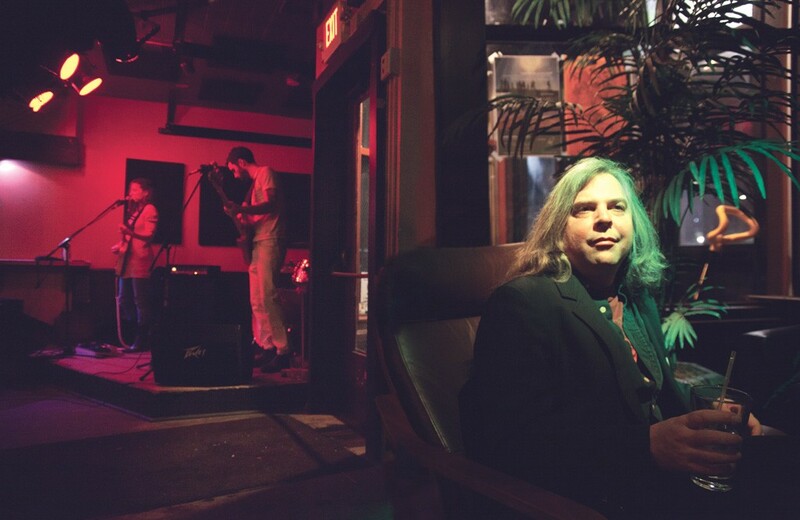 "Nick Mavodones is still the hardest-working person in the Burlington/Winooski music scene," writes Brian Nagle, aka Disco Phantom. "I don't think people realize and appreciate how much he does for this town. He has never stopped and always puts others first." "He is the personification of raw, soulful sax," writes soul singer Dave Keller. "And he is a humble, beautiful human being." "Bob Wagner is the quiet, gentle force behind so many projects in town, but he's never in the center spotlight, which only enhances his hero status," writes Higher Ground's Alex Crothers. "He's an organizer, he's a professional, and he's immensely talented. I never worry when Bob's involved." "People who go to shows early enough to catch the openers," writes Pours front man Bryan Parmelee. "Y'all are the real MVPs." The original print version of this article was headlined "Did You Ever Know That You're My Hero?"